I made this quite a while ago but as I’m sitting here typing this post I am seriously starting to crave a piece of this incredible Orange Coconut Cream Cake. Coconut cake is one of my all time favorites (besides chocolate – of course – and anything nuts) and this recipe has been with me for years. The creamy coconut with the zesty orange is just a perfect match and this is a perfect cake for both cold winter days and summer parties! Oh what a beauty. This strawberry milkshake cake is a treat for your taste buds AND for your eyes! Why milkshake you wonder? Well, this cake is not just loaded and soaked with milk but the frosting tastes EXACTLY like strawberry ice cream – or strawberry milkshake. It is amazing! I made a cream cheese buttercream, flavored it just slightly with pureed, sweetened strawberries and it turned out perfectly. The cake itself is a white cake soaked in milk. 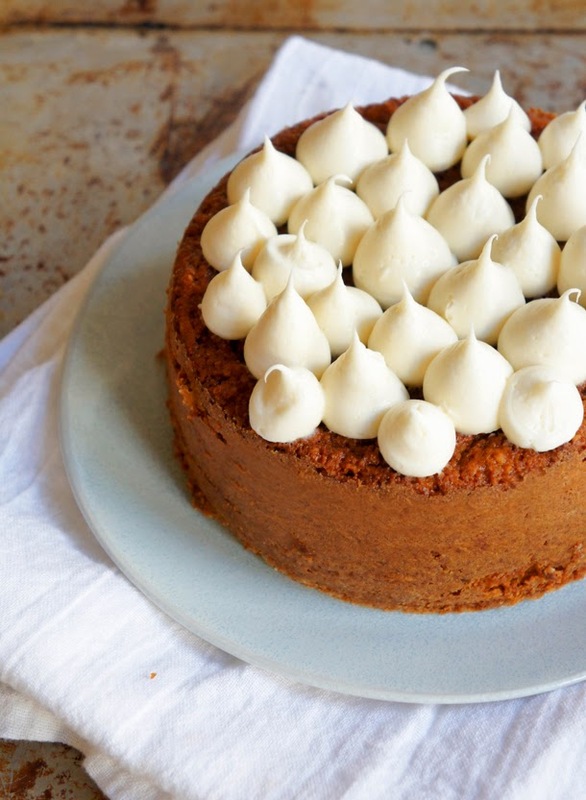 Super moist, super milky and super delicious. Six days till christmas! If you’re stuck with your dinner plans and still looking for a dessert, you might have found it. 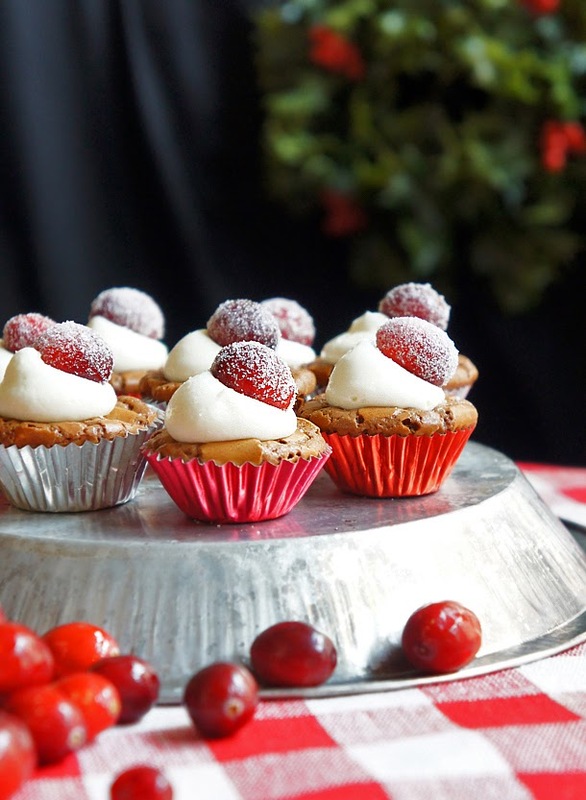 It’s easy to make, super delicious, well made in advance and the sugared cranberries on top give those bite-size brownie cupcakes the perfect holiday touch.